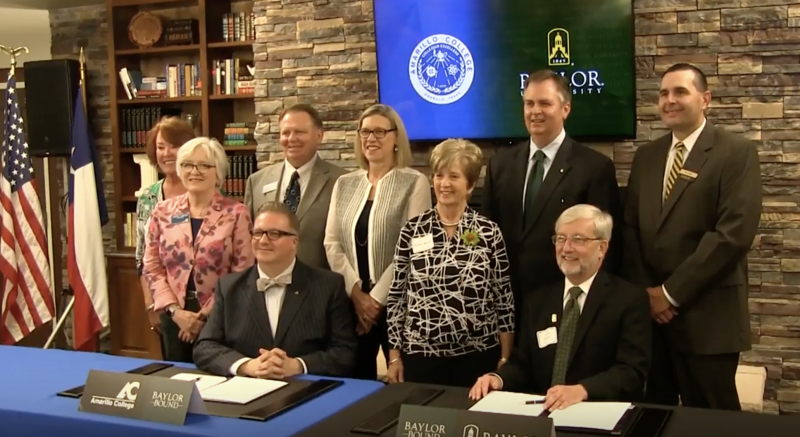 The heads of Amarillo College and Baylor University recently inked the Waco university's 11th transfer agreement. The agreement gives AC students access to degree requirement guides and other resources. The goal is to better facilitate transfers for graduates wishing to continue their education at Baylor. The university's selective admissions process annually screens tens of thousands of applicants for only about 3,000 slots, Baylor interim President David Garland said during a signing ceremony this past week in Amarillo.